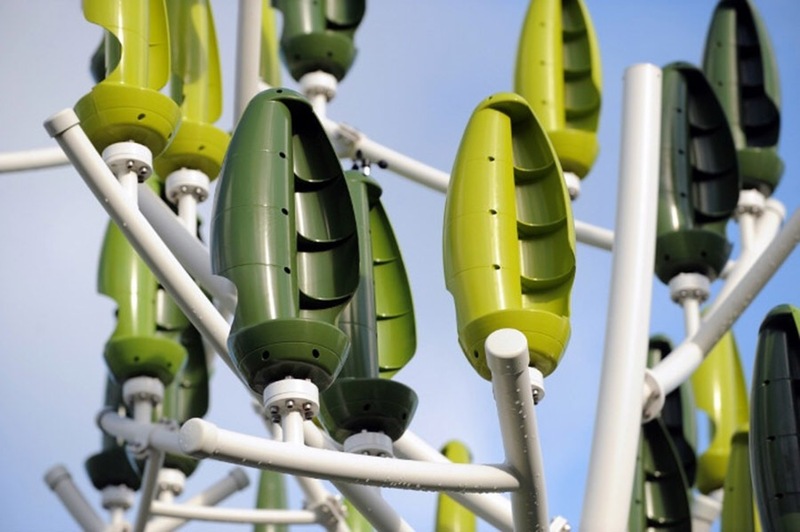 The New Wind tree fit naturaly in our environment while the leaf shaped turbines silently generate power. Each tree can generate enough power for a family of 4. Free electricity coming from an artistic tree, I want one!